Modalert 200 mg is a psychostimulant. It was developed in the late 80s of the last century by the American manufacturer of drugs Cephalon for the treatment of narcolepsy – a disease in which people suddenly fall asleep in the daytime. About 0.02–0.03% of the population suffers from narcolepsy. Modafinil is used in about 20 countries. The mechanism of action of modafinil is different from the mechanism of action of amphetamine and ephedrine or other similar psychostimulants. Modalert 200 mg also does not form in the human body from amphetamine or ephedrine derivatives. 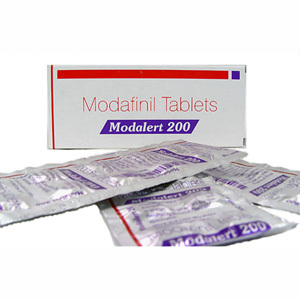 Adrafinyl, an older drug than modafinil, is a drug similar to modafinil in structure and effects. Modalert 200 mg affects various parts of the brain. Probably the most important effect is increasing the speed of mental reactions. This effect refers to the lower part of the intermediate brain, the hypothalamus, where activation of the nerve pathways takes place, in which orexin / hypocretins act, which play an important role in the regulation of sleep-wakefulness as mediating substances. In addition, it activates the sympathetic alpha-1 receptors of the central nervous system, increases the activity of stimulation of glutamine and histamine transmitters, and also enhances the effects of serotonin in the cerebral cortex. In addition, it reduces the activity of those inhibitory nerve cells in which gamma-aminobutyric acid acts as a transmitter. Modafinil does not induce the dopamine system in the central nervous system, which is the most important effect of amphetamines. Modalert 200 can produce pleasure effects and addiction, but to a much lesser extent than amphetamines. It is well tolerated in therapeutic doses, but side effects may include insomnia, headaches, nervousness, agitation, aggressiveness, high blood pressure, and heart symptoms.